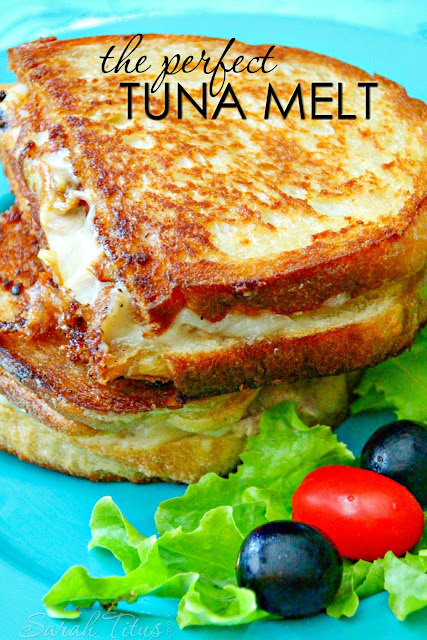 This recipe is amazing, so simple and yummy!!! My favorite way to eat them is to make a simple chia seed pudding with raw milk, mixed with honey and some berries. Combine the sugar, salt, and black pepper in a shallow bowl. Dip each filet into the bowl and coat the entire surface of the salmon with the sugar/salt mixture. Heat a little bit of olive oil in a large nonstick skillet over medium heat. When the oil is hot, add the salmon, skin side down in the pan, and saute for about 5 minutes. If you're worried about the burnt sugar in the pan (or if there's too much oil/liquid) just drain it off or spoon it out of the pan. If there's a lot of oil splattering, turn the heat down. I would not recommend going higher than medium heat. Flip each salmon filet (carefully! keep the skin on there because it helps the filets hold together) and saute for another 2-3 minutes. Flip to the side and saute each of the sides for another 2-3 minutes, if the filet is thick enough. Preheat the broiler to 450 degrees. Sprinkle the top of each salmon filet with a teaspoon or two of additional sugar/salt mixture. Transfer the pan from the stovetop into the oven. Let the salmon broil for 5-10 minutes, checking occasionally to make sure it's not burning. 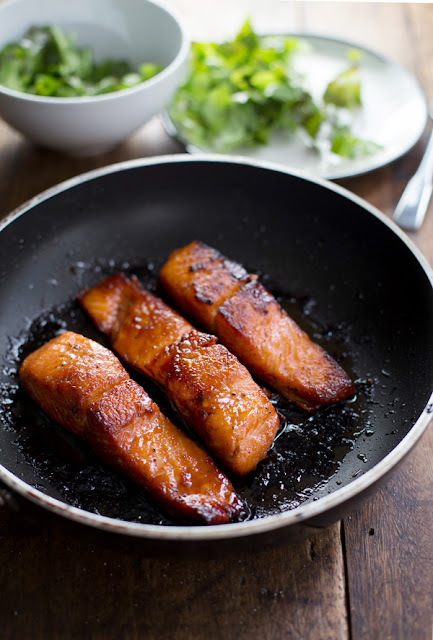 The sugar in the pan might look burnt but that's okay as long as the tops of the salmon are looking golden brown. 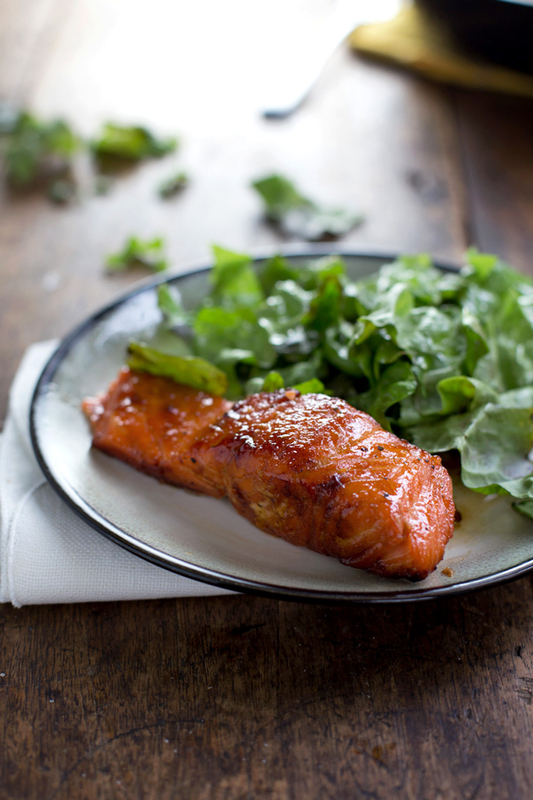 When the salmon is done cooking, remove from the oven and allow to cool for a few minutes (that sugar gets HOT). Gently peel off the skin before eating - it will be very dark because it's totally caramelized with sugar, and it should come off very easily.